Have you ever heard that it takes 60 days to form or change a habit? Well, that’s actually not true. I used to write about that being true, but new research and a mindshift change for me made me realize that habits can be very easy to create or change, IF you understand the science behind habit formation and use that science when you are trying to change or create a habit. Whether you realize it or not, a lot of your daily behavior is composed of habits. These are automatic behaviors that you do without thinking. You do them the same way every day. Think about all the habits you have that you don’t even remember trying to create. Perhaps you put your keys in the same pocket when you walk out the door, or maybe you have a routine that you go through every weekday when you first wake up. How did you end up with so many habits if they are so hard to create? If you understand the science around how habits are formed, you will see that there are some fairly simple things that you can do that make habits very easy to form and even relatively easy to change. For most people, most of the time, habits are created unconsciously and they are carried out automatically. Habits help us all to do the many hundreds of things we need and want to do in our lives. Because we can carry out a habit without having to think about it, it frees up our thought processes to work on other things. It’s an efficient trick that our brains have evolved to make us more efficient. It all started with saliva – Let’s take a look at the science behind forming habits. If you took a Psychology course you probably have heard the name Ivan Pavlov. Ivan Pavlov won a Nobel prize in 1904 for his work in medicine. He researched the digestive system, working primarily with dogs. But while he was doing research on digestion he discovered something that surprised him. Pavlov was measuring the amount of saliva that dogs produce as part of digestion. He noticed first that dogs would salivate when they saw food, even before they tasted it. Then he noticed that if another event, such as a bell, or the footsteps of the experimenter was paired with the food, the dog would eventually start salivating at just the sound of the bell or the sound of the footsteps. This is called classical conditioning. By now you are probably wondering what this has to do with you. You are probably not trying to create a salivation habit! Classical conditioning is the starting point for understanding automatic behavior and habits. Keeping this original research in mind, let’s explore what we now know about creating or changing habits. 1. Small, specific actions are more likely to become habitual – Let’s say you decide to create an exercise habit, and you tell yourself “From now on I’m going to get more exercise.” This is unlikely to turn into a habit because it’s too general/vague, and it’s too big. 2. Making the action easy to do increases the likelihood that it becomes a habit – Once you have identified the specific small action then you want to make that action easy to take. In the exercise/walking example, you will be more likely to engage in the habit if you make it easy. For example, put out your shoes/clothes right near the door so when you get home you see them. 3, Actions that involve physical movement are easier to “condition” into a habit – With the walking/exercise example, that’s easy. You are going to reach out your arm and grab your workout clothes. 4, Habits that have auditory and/or visual cues associated with them will be easier to create and maintain – One reason that using your mobile phone is so habitual is it lights up when you have a message, and makes buzzing or chirping noises when there is a text. These auditory and visual cues grab our attention, and increase the likelihood that we will develop a conditioned response. The Best Way to Change an Existing Habit – The best way to change an existing habit is to create new one to replace it. Let’s say you have a habit of coming home at the end of a work day, grabbing a soda, turning on the TV and sitting on the couch. You’d like to stop doing that because before you know it an hour has gone by and you haven’t started dinner or gotten any exercise. How do you change that habit? You have to go back to the very beginning of the stimulus/response cycle and replace the current response with a different response. To change this, decide what you want to replace it with, for example, let’s say you want to go for a walk as soon as you get home. The best thing to do is to position your walking shoes and perhaps a change of clothing right by the door you walk into.Then for a few days purposefully and consciously grab the shoes and clothes and put them on as soon as you walk in the door, and go for a walk. Give it a try. Pick either a new habit you want to create, or an existing habit you want to change. Next, figure out the stimulus and the response. Make sure the action is small, easy, attached to something physical, and, if possible use a visual or auditory cue. Do the new habit for a week, and see what happens. You may be surprised at how easy it is to create or change habits. 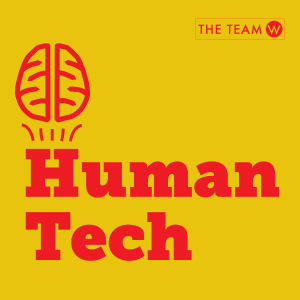 In this episode of HumanTech we talk about the what, why, how, of journey mapping, and even veer off a little to tackle the philosophy of creating UX documents. In this episode of HumanTech we look at the science of rewards and discuss when and why rewards work and when and why they don’t. Chatbots are popping up everywhere. In this episode of the Human Tech podcast we talk about what features make a chatbot usable, including whether it should have a name, the importance of consistent personality, and whether you want your chatbot to have a gender or be gender neutral. Instead of following some of the usual folksy advice about how to make and keep New Year’s resolutions, you could, instead, use brain and behavioral science to craft New Year’s resolutions that will actually work. Here are some ideas of how to do that, and the science behind them. 1, Pick small, concrete actions. “Get more exercise” is not small. “Eat healthier” is not small. This is one reason New Year’s resolutions don’t work. A lot of New Year’s resolutions are about habits — eating healthier, exercising more, drinking less, quitting smoking, texting less, spending more time “unplugged” or any number of other “automatic” behaviors. Habits are automatic, “conditioned” responses. Contrary to popular opinion, it’s not hard to change habits IF you do so based on science. 2. Use visual and/or auditory cues. Want to go for that walk everyday? Set up a place in your home where your walking shoes are. Don’t put them away in a closet. Put them in a place where you will see them when you get home from work or first thing in the morning. The shoes will act as a visual cue. And/or set an alarm on your phone called “Go for a walk” and have the alarm go off every morning at 7:30 am. People become conditioned to auditory and visual cues and that makes it easier for an action to become a habit. 3. Decide what you want, not what you DON’T want. Instead of setting a resolution of “I’m not going to check my email 10 times a day,” set it for what you ARE going to do: “I’m going to use “batching and check my email only twice a day.” Instead of “I’m going to drink less soda”, set the resolution as “I’m going to replace drinking a soda with drinking water.” Although this may seem not that different, it’s important. It’s easier for your brain networks to work on an intention stated in the “affirmative” than it is stated in the “negative”. 4. 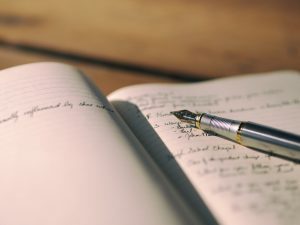 Write a new self-story. 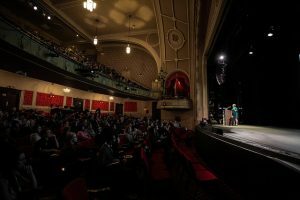 The best (and some would say the only) way to get large and long-term behavior change, is by changing your self-story. Write out your existing story. Pay special attention to anything about the story that goes AGAINST the new resolution you want to adopt. So if your goal is to learn how to unplug and be less stressed, then write out a story that is realistic, that shows that it’s hard for you to de-stress, for example, that you tend to get overly involved in dramas at home or at work. We’ll compile the list and post it. I hope you’ve heard of System 1 and System 2 thinking. It’s an idea originally put together by Daniel Kahneman. System 1 is our normal state of brain activity. Watching TV, driving, looking at a picture of a sad face. It’s simple, effortless, and our favorite mode to be in. System 2 is heavy thinking, such as solving a tough math problem, or taking the bar exam to be a lawyer (which this author did and passed, so there). It’s hard, uncomfortable, and actually uses up more calories. It’s literally more work. The idea that there are two different processing systems in the brain is not new. And it’s probably a much better analogy of how the brain works rather than the traditional “the brain is a computer” metaphor that isn’t accurate. They propose the idea that there are two modes of processing info, one with an experiential conceptual system, and one with a rational conceptual system. Let me try and simplify this. Think of a door alone in a long hallway. A single closed door in an empty space. Through the magic of the brain, you have conjured up an image of a door. You can see its color, how it opens. The space around it. It’s a physical object. In your mind journey keep thinking about the door, but walk closer. Get so close to the door you can almost smell it. Lean up close to it right before you touch it, and blow softly on it. I’ll bet your brain made a solid door. Your breath didn’t go through. It’s a real object in your mind. In the cognitive-experiential self-theory you’ve used your experiential conceptual system to create something observable; it’s an object. Now instead let’s put you in front of a tricky math problem you have to solve by hand. Say (47*16)/19. I want you to visualize the answer. What is it? Well. Unless you’re an autistic savant can’t visualize the answer right away. You can’t “see” the answer in the same way you can see the door because you’re using a different system. You have to use the rational conceptual system. You have to remember math and the strategies to multiply and do long division. It’s a different system. It feels different. There were two bowls with red and white jelly beans. One was the Big Bowl that had 100 jelly beans, and one was the Small Bowl with only 10 jelly beans. They set up a game where if you randomly pick a jelly bean and it’s red, you win some money (like $4); but if it’s white you win nothing. They then put their subjects into one of four conditions. Condition 1 had (and told subjects) there was a 10% win rate. So that means 10 red jelly beans and 90 white jelly beans in the Big Bowl, and 1 red jelly bean and 9 white jelly beans in the Small Bowl. The odds are the same; either 10/90 or 1/9. Condition 2 had (and told subjects) there was a 90% win rate. With 9/1 jelly beans in the Small Bowl, and again 90/10 jelly beans in the Big Bowl. Again, the odds are the same; either 90/10 or 9/1. Conditions 3 and 4 were the same as Conditions 1 and 2, except the odds were framed as losing. Condition 3 had a 10% lose rate (so the odds and bowls were the same as Condition 2, 9/1 and 90/10), and Condition 4 had a 90% lose rate (so the odds and bowls were the same as Condition 1, 1/9 and 10/90). Subjects were then put in front of the Big Bowl and Small Bowl and could decide which bowls they wanted to bet on. Here’s the important thing to remember; THE ODDS IN THE BOWLS ARE EXACTLY THE SAME. In every condition the odds for the Big Bowl and Small Bowl are Identical. It’s just that the big bowl has 10x the number of Jelly Beans. Statistically it makes NO DIFFERENCE which bowl you bet on. If you gave this problem to a computer (and perhaps this is a great question for my Turing Test, to see if you’re AI or a human), it would bet randomly, or 50/50 on the Big or Small bowls. The odds are the same. You make no more or less money betting on one over the other. So that’s what people did right? Of course not! When presented with low odds of winning (the 10% win, or 90% lose conditions), about 75% of people chose to bet in the Big Bowl (73.1% for 90% lose and 76.9% for 10% win). Conversely when presented with high odds of winning (the 90% win, or 10% lose conditions), only about 30% chose to bet in the Big Bowl (30.8% for the 10% lose condition, and 36.5% for the 90% win condition). When presented with low odds of winning, most people wanted to gamble on a Big Bowl with lots of jelly beans, but when presented with high odds of winning, most people wanted to gamble on a Small Bowl with very few jelly beans. When we’re faced with a simply ratio-based math problem we use our rational system. But when we are standing in front of bowls with jelly beans it’s not 90%; it’s 9 out of 10. That kicks us into experiential. 9 out of 10 is almost a sure win; it’s really concrete. Our brains tell us that we want the small bowl because there are “fewer” chances to lose because there are fewer jelly beans. There’s only one loser jelly bean! We only have to avoid one bad bean, but in the Big Bowl we have to avoid 10! Your brain says, “oh, 1 is smaller than 10, that feels better, bet on that”. And this happens even while the rational system tells you they’re the same. We walk around in non-rational, experiential mode, so people bet the small bowl. Conversely, when it is only a 1 out of 10 chance of winning, oh man, there’s only one winner jelly bean in the whole Small Bowl. I’d rather have 10 chances of winning, and the big bowl has 10 winner jelly beans, so 10 is more than 1, so let’s bet in the Big Bowl. Even while the rational system says they’re the same. People go with their feelings. Takeaways then. Welp. It’s another nail in the coffin of human rational decision making. If you want people to feel better about making a choice that has small odds of success, they’ll feel better if there are lots of possible winners, even if there are also proportionally just as many chances to lose. Conversely, if you want people to feel better about making a choice that has high odds of success, minimize the number of losing tickets, even if that means reducing the number of winning tickets. People feel much better when they see numerically only one losing ticket. Why do we remember and forget stuff? In this episode of the Human Tech podcast we talk with Ylva Ostby, a neuropsychologist from the University of Oslo, who, with her sister, Hilde Ostby, has written a book for everyone about memory. Their book is called Adventures in Memory and is brand new this week. Do we know enough about human emotions to start building them into our technology? Isn’t human emotion the one thing that differentiates us from machines? What does it mean to build emotional artificial intelligence? These are some of the questions we discuss with Pamela in this episode of the Human Tech podcast. Pamela’s upcoming book is Emotionally Intelligent Design, and is available for pre-order on Amazon.